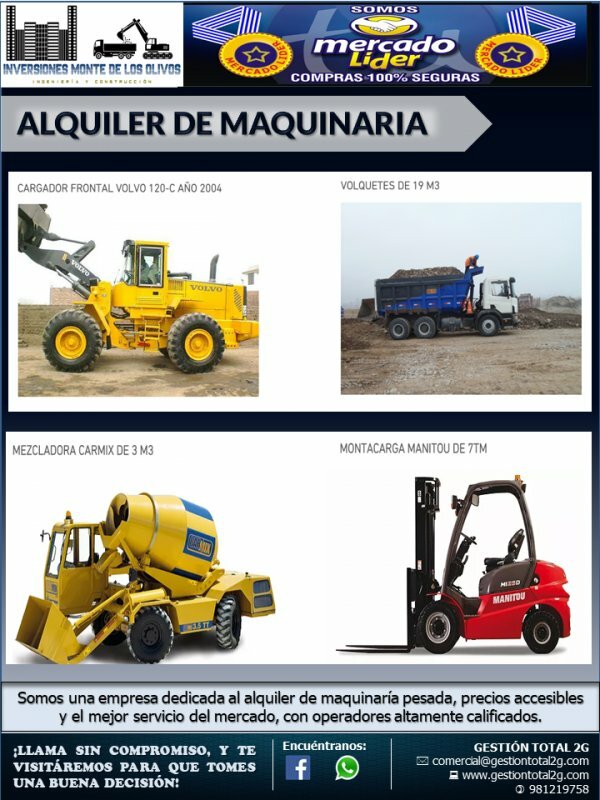 SOMOS UNA EMPRESA DEDICADA AL ALQUILER DE MAQUINARIA PARA EL SECTOR DE CONSTRUCCIÓN A NIVEL NACIONAL. 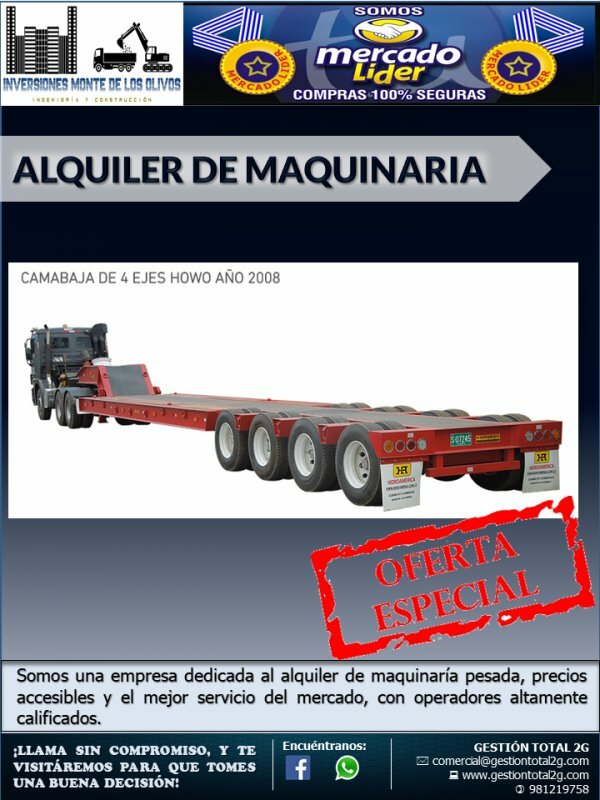 MAQUINARIA PROPIA Y 100% OPERATIVA. 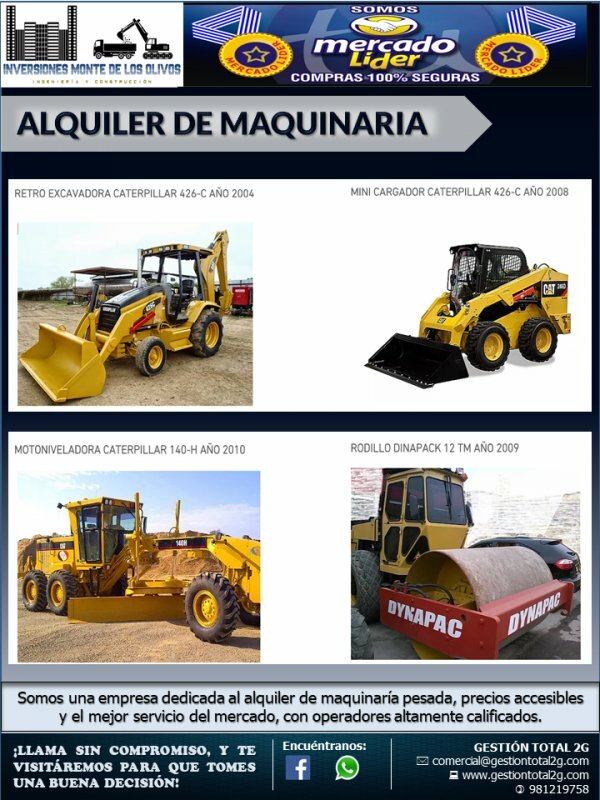 LLAME Y PREGUNTE SIN NINGÚN COMPROMISO... Y LE ESTAREMOS ENVIANDO UNA COTIZACIÓN.